Carla Shaheed, is a native of the San Francisco Bay Area and a Fairfield resident, offers invaluable knowledge of the areas many diverse neighborhoods. In particular Solano and West Contra Costa counties. Her passion is real estate. She is personally committed to her profession. 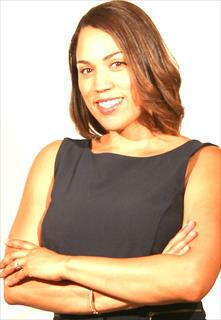 Carla's objective is to make her clients' buying and selling process as stress-free as possible. She is honored to work mainly by referral and through repeat business. She attributes her strong work ethic, vast market knowledge, professionalism, enthusiasm, and top negotiation skills as key to her continued success. Growing up in Richmond, Carla attended Stege Elementary School, Albany Middle School, and Albany High School until relocating to Vallejo where she then attended Vallejo Sr. High School. She graduated from Cal State East Bay in Hayward California with a BS in Human Development. Carla has three beautiful daughters of which two are heavily involved in gymnastics. In her spare time she enjoys watching her daughters perform as well as volunteering at their gym. She enjoys wine, cardio, reading, networking,and meeting new people.